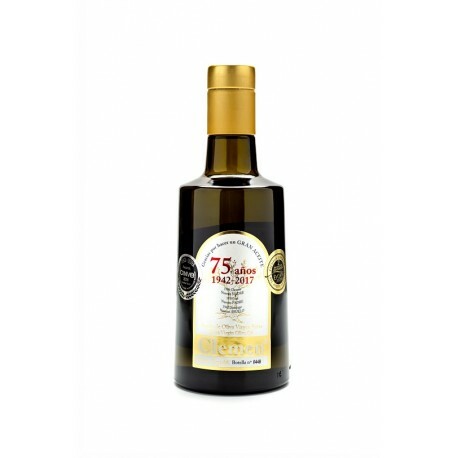 Special edition commemorating the 75th anniversary of the Aceites Clemen mill. 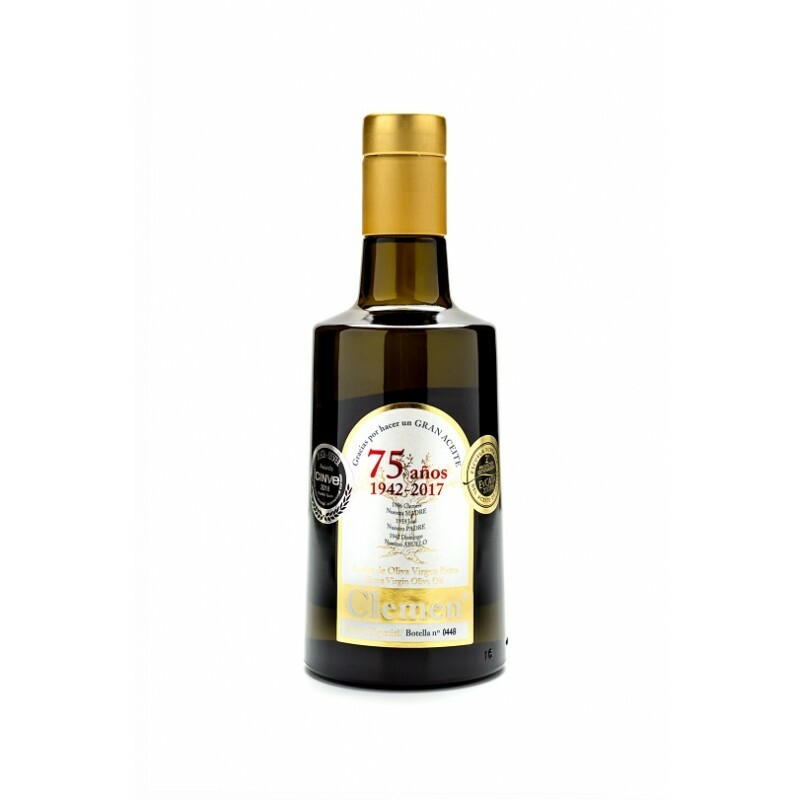 Extra Virgin Olive Oil produced with Manzanilla olives, carefully selected during the first days of harvest. Dark glass container with unbreakable pouring cap, suitable for the hotel industry. 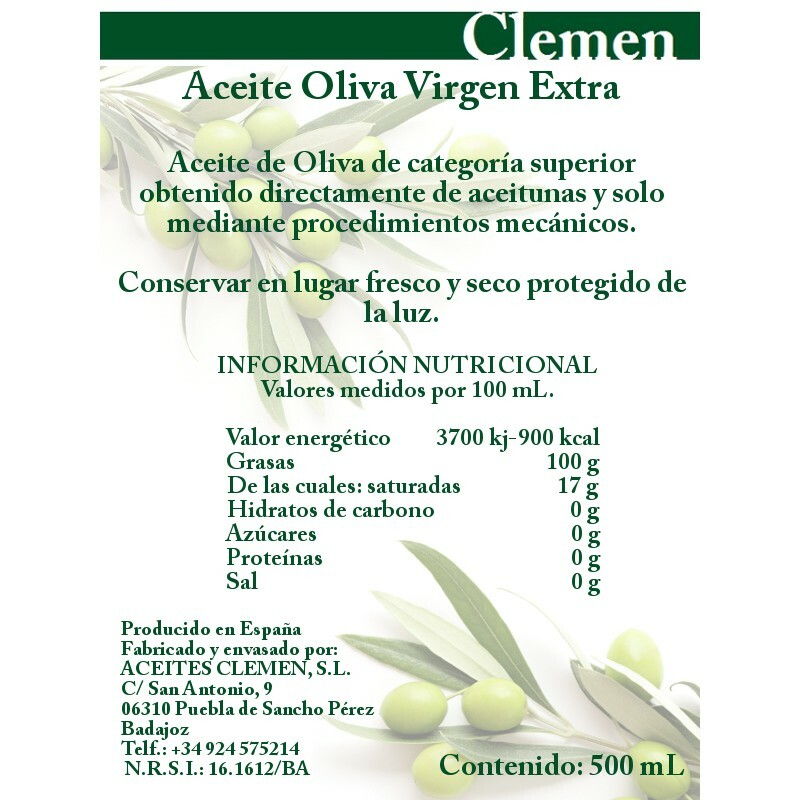 Contains 500ml of Extra Virgin Olive Oil. Limited edition of 5,000 bottles.